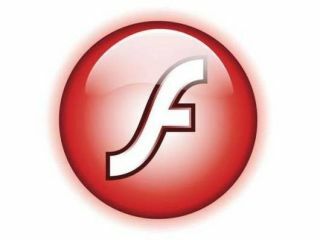 UPDATE: Adobe has officially announced it is to end Flash on mobiles, issuing a statement on its blog, and has pledged to "aggressively contribute" to HTML5. "We will no longer continue to develop Flash Player in the browser to work with new mobile device configurations (chipset, browser, OS version, etc.) following the upcoming release of Flash Player 11.1 for Android and BlackBerry PlayBook," says the post. "We will of course continue to provide critical bug fixes and security updates for existing device configurations. We will also allow our source code licensees to continue working on and release their own implementations." In a shock move Adobe is set to announce that it will no longer be supporting Flash for mobile devices and will instead be focusing its development efforts on mobile apps. While the most famous person who would say 'I told you so' to Adobe is no longer with us, the abandoning on the mobile Flash plug-in for Android and the like is a move many wouldn't have been expecting from Adobe – considering the company was very much in favour of pushing a mobile version of Flash. The scoop comes from Zdnet, which has spoken to a number of sources who have been briefed on Adobe's sudden change of face. The announcement the website has got hold of explained: "Our future work with Flash on mobile devices will be focused on enabling Flash developers to package native apps with Adobe AIR for all the major app stores. "We will no longer adapt Flash Player for mobile devices to new browser, OS version or device configurations. "Some of our source code licensees may opt to continue working on and releasing their own implementations. TechRadar is already mourning the loss of the 'is Flash needed on mobile devices?' flame wars we enjoyed reading in many a forum.